At least four people have been injured as a plastic-made shed over a platform of Airport Railway Station in the capital collapsed. 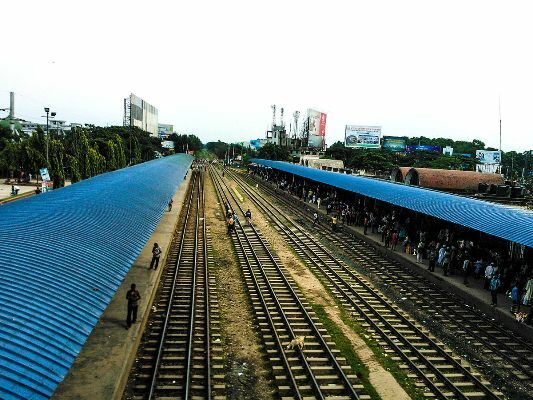 According to Yaseen Farooque, officer-in-charge of Dhaka Railway Police Station, a portion of the shed collapsed when Eid holidaymakers climbed onto it to board on the roof of Dinajpur-bound Parbartipur Special Train around 8:00pm. Sources said, a unit of firefighters from Kurmitola Fire Service and Civil Defence rushed to the spot.